Happy Monday! 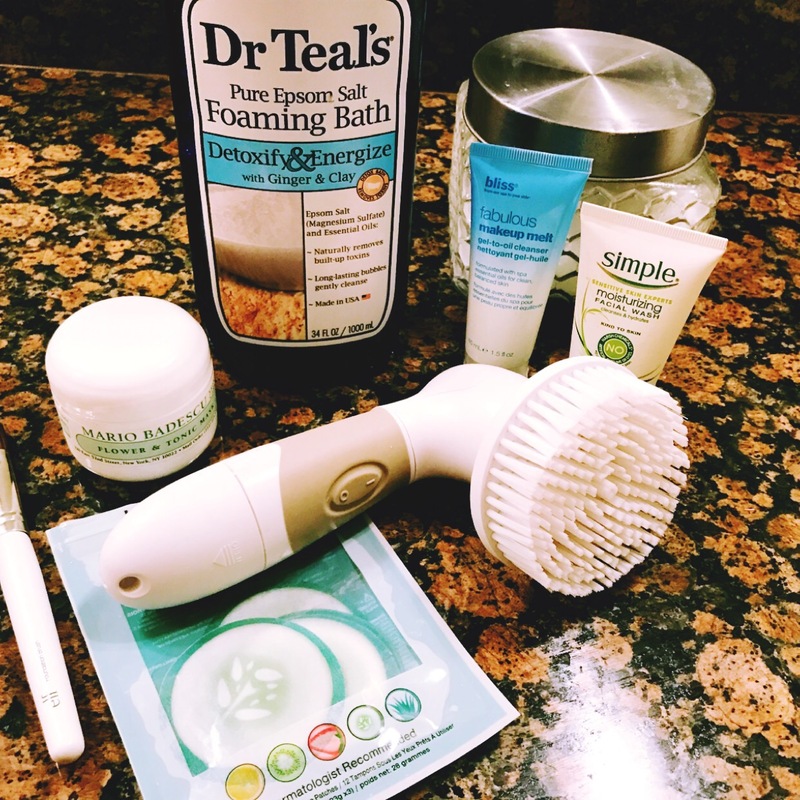 Let’s talk a little about pampering, shall we? I LOVE a great home pamper treatment, which is why I have dedicated 20-45 minutes each Monday to do just that. I love a good mask, over the past year I have gotten TONS of them between my Ipsy glam bag, my Birchbox, and my weekly target trips…let’s just say my collection has become very extensive. I typically use a mask in the mornings or afternoons. Masking in mornings before classes usually consist of me sipping something hot: apple cider, a detox, tea, or espresso – for the days I have a million tasks to do. In the afternoons I usually incorporate masking into my bedtime routine and add in some time for a relaxing bubble bath! A mask usually stays on your face anywhere between 10-15 minutes so it gives you time to get a few things checked off your list if you’re crunched for time. Here’s a few of my essentials that I thought I’d share with you incase you’d like to make your Mondays about masking too! Mario Badescu Flower & Tonic Mask. This is one of my favorite masks, a little goes a long way! I picked this up from a local shop here in Columbia, SC called POUT. It was a random find, but I’ve been in LOVE with it since. I What I appreciate most about this mask is the smell. I also love that it’s a clay mask but it doesn’t dry too fast. I’ve tried certain clay masks in the past and some would completely dry up before I could apply it to half of my face …No Bueno! Overall, this product is great for routine mask maintenance or to de-congest your pores. Bliss never seems to disappoint, I love this gel to oil cleanser, it takes every bit of makeup off my face and doesn’t over dry my skin. This is what I normally put on before I apply my mask to make sure I have a fresh face. It turns from gel to oil in seconds and all you have to do is rinse your face with warm water. I usually start off by removing all makeup from my face using Vanity Planet’s Spin for Perfect Skin tool , combined with Simple’s moisturizing face wash. When I’m done with the face wash I apply my makeup melt by Bliss, sometimes I like to use my facial steamer, they can be found on Amazon or any beauty store – mine is from Ulta. Once my face is completely clean I apply the mask with a mask brush by E.L.F and I finish it off with cucumber eye pads! Amazon.com: bliss Fabulous Makeup Melt Gel to Oil Cleanser, 4.2 fl. Tags: Mask Monday - Beauty. Bookmark the permalink. Previous post ← Hello 2017!